Sir Kevin Leeson, centre, plus Trustee Martin Hine, members of the RAF Museum Project Team, Gary Spoors and the GJD Team in front of XR808. ONE of the last Vickers VC10 C1K aircraft is going back to school – and the project to turn the XR808 into an exhibit and a classroom at the RAF Museum, Cosford, is now well under way. The Royal Air Force Charitable Trust was one of the contributors to a fund to save the aircraft, committing £40,000 to the cause after all the tanker/transports were retired from RAF service in September 2013. XR808 (or ‘Bob’, as the aircraft is known, because of the tail number) was gifted to the RAF Museum on retirement. Air Marshal Sir Kevin Leeson, Chairman of the RAF Charitable Trust, has visited Bruntingthorpe in Leicestershire to see for himself the work that’s begun on dismantling the aircraft. It will then make the 60-mile road journey to RAF Cosford in Shropshire where it will be reassembled. Sir Kevin was accompanied by Martin Hine, Trustee, and by Ian Thirsk of the RAF Museum. During his visit Sir Kevin was able to talk to Gary Spoors and the workforce from GJD AeroTech who are preparing the aircraft for transportation. The wings will each be transported in two pieces, while the fuselage and fin will each travel in one piece. Sir Kevin Leeson in the cockpit of XR808. 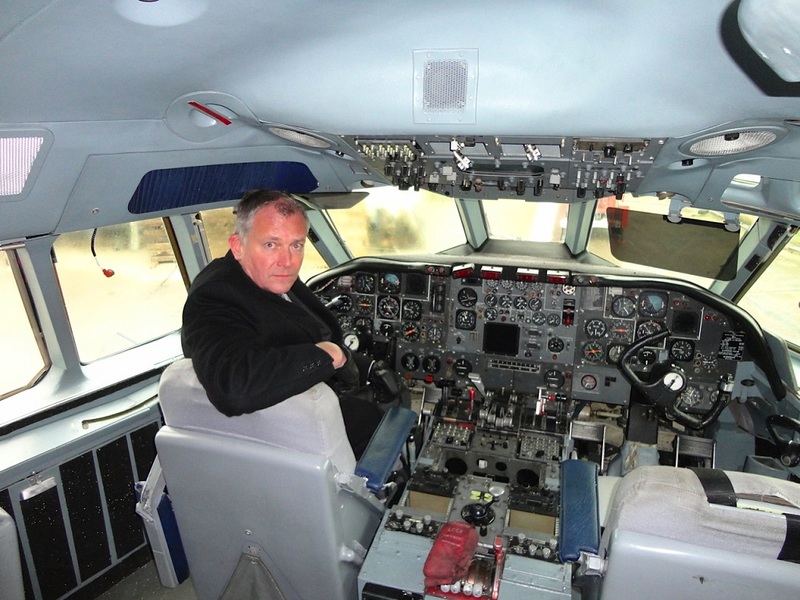 He adds: “As well as involvement in many air operations over 40 or more years, the VC10 story also includes all the fascinating ingredients of design challenge, commercial imperatives and government policy. It will make an exciting living classroom at the RAF Museum and is sure to capture the imagination of the many young aviation enthusiasts who visit. 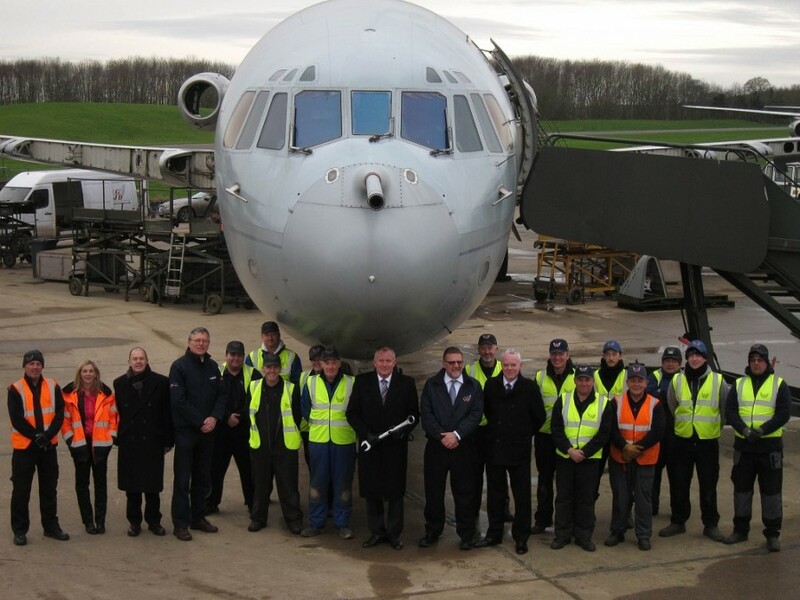 The Trust’s funding towards the VC10 project was conditional upon involvement by the Air Cadets, involving visits to the aircraft during various stages of the break-down, move and rebuild. XR808 was first operated by 10 Squadron, initially from RAF Fairford, home of the RAF Charitable Trust, and moving over to 101 Squadron in October 2005. She spent 47 years in RAF service, amassing over 43,865 flying hours.